What is a Risk-Free brand? 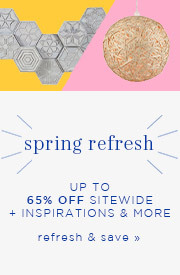 ¹ Free Shipping applies to items over $49 in the contiguous United States for all Risk-Free brands. Free Shipping for brands not under the Risk-Free policy applies to all items over $49 able to be sent via UPS or FedEx in the contiguous United States. ² Free Returns does not apply to items requiring shipment via a freight carrier. Excludes clearance and closeout items. The Craftmade family of brands has much to offer all lighting professionals, large and small. And we've only just begun. Consider this your invitation to join the Craftmade family. Style and simplicity is what Craftmade delivers and what lighting professionals need to succeed. Feiss offers a broad range of uniquely beautiful, stylish and classic lighting fixtures that complement any design aesthetic – from traditional to rustic and contemporary to modern. Feiss lighting features superior materials and craftsmanship; premium, hand-applied finishes; and intricate details that add touches of elegance to every fixture. Hudson Valley Lighting is one of the industry's fastest growing designers and manufacturers of distinctive lighting. From vintage colonial Williamsburg Chandeliers and Wall Sconces to the timeless beauty of Pelham and Woodstock Ceiling fans, Hudson Valley Lighting is sure to appeal to your discerning taste. Hudson Valley Lighting also offers Flush Mounts, Pendants, Island Lighting, and Bath and Vanity Lights. Livex Lighting provides quality decorative residential lighting at the most affordable price. From Coronado Chandeliers and Pendants to Tahoe Outdoor Wall and Post Lanterns, the Livex Lighting line keeps pace with today's styles and fashions. Livex Lighting also offers bathroom lighting, ceiling fixtures, foyer lighting, home accessories and accent furniture. For over 100 years, Progress Lighting has been committed to providing a diverse selection of high quality residential and commercial lighting fixtures - earning the reputation as the #1 decorative lighting line among Builders and Remodelers. Progress Lighting's new home in Greenville, SC is a showcase for lighting, lighting techniques and product testing and development. Progress Lighting is the proud recipient of numerous design and achievement awards including the Lighting For Tomorrow award and ENERGY STAR partner of the year. Quoizel, one of the nation's leading manufacturers of quality decorative lighting and home accessories, takes pride in creating timeless pieces designed with you in mind. From fine European Tiffany style table lamps to the Americana comfort of cozy cottage outdoor fixtures and modern contemporary mirrors, the beauty of Quoizel comes from a balance of form and function. 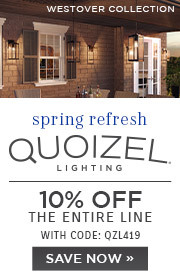 Quoizel also offers a wide selection of lighting that includes: Chandeliers, Pendants, Flush Mounts, Track Lighting, Wall Sconces, Bathroom Lighting, Outdoor Wall and Ceiling Lighting, and Outdoor Post Lights. Founded in 1919, Sea Gull Lighting offers a very broad selection of on-trend lighting at highly affordable prices. 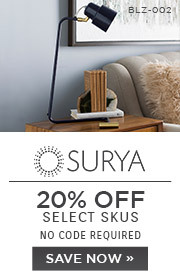 The brand is a trusted choice for smart, decorative lighting with everyday style. WAC Lighting, leading the industry's sustainability charge, has a reputation for providing high quality decorative and task lighting. From energy efficient LED track and rail lighting to recessed and display lighting, WAC Lighting's extensive line can solve your lighting situation. WAC Lighting also offers pendants, wall sconces, cabinet lighting, and spot lights. Why Shop Brands at Lighting New York? Lighting New York is committed to proving a wide selection of the best-known lighting manufacturers. From top-of-the-line designer fixtures by Visual Comfort, to the affordable yet high-quality Kichler line, you can be sure you will find the perfect piece to fit not only your style, but also your budget. Whether you're looking for an extravagent Schonbek crystal chandelier, an historically accurate Framburg reproduction fixture, a contemporary Fanimation energy-efficient fan, or an ornate Savoy House outdoor lantern, our lighting experts and friendly customer care advocates are eager to guide you through the process.